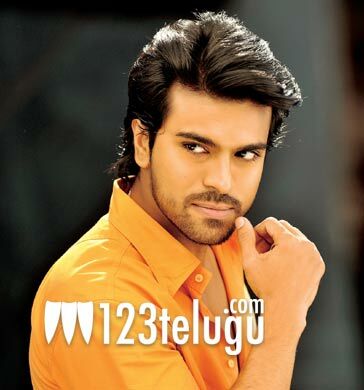 Ram Charan to take part in CCL 3? Is Ram Charan going to play for the Telugu Warriors Team in the third edition of Celebrity Cricket League? That’s the hot topic today among Mega fans. A leading Telugu news daily has claimed that Ram Charan had agreed to play for the team which will be headed by Venkatesh; however, no official announcements have been made yet. If this news is indeed true, CCL-3 is going to garner a lot more attention than it in previous years. The Telugu Warriors team has Venkatesh, Tharun, Nithin, Srikanth and few other actors. The curtain raiser of CCL-3 was held a little while ago in Mumbai and Salman Khan, Katrina Kaif performed on stage. Several celebrities from Telugu, Tamil, Malayalam, Bollywood, Bengali and Bhojpuri film industries took part in the grand ceremony. The cricket league will kickstart on February 9 in Kochi. Bipasha Basu and Kajal Aggarwal have been chosen as the brand ambassadors of CCL-3.